1. They could be lying to your face and you'd never know it. Have you ever read your mutual fund prospectus? Look at some of the disclosures in buried among the details. Without calling out a specific fund manager, here's a real excerpt from a fund prospectus. In other words, don't rely on anything you read. And if you even suggest that the fund is telling the truth, you are a criminal! Now, to be fair, a lot of funds are audited by public auditors. And there is the idea that if anyone was ever caught lying, their reputation would be at risk. There are no guarantees on Mutual Funds. Not by the FDIC, not by the government. They tell you that the best way to earn a return is to have a diversified portfolio. They try to ignore the downside risk. There are many other investments and financial products that are a lot more secure. Bank CDs are backed by the FDIC. Annuities, offered by insurance companies and banks, often allow you to invest in the market and still keep a guarantee that won't won't lose a dollar of the money you put in it. (You will have to pay for this feature, and it has its own rules, so read carefully). Their primary job is to try replicate/match/outperform some benchmark. As long as they perform somewhat close to the way the benchmark did, they are happy. Even if that means the benchmark took a huge dive. Not only that, they can operate however they want. Finally, they get paid regardless of how the fund does. 4. They can do whatever they want, whenever they want. Again, just because they can, doesn't mean they are. However, I think everyone should know that their investment is at the whim of another person. Someone you probably have never met. How often do you give your money to complete strangers? 5. They can be an expensive way to invest. There are fees to buy and sell mutual funds, there are fees incurred when the fund buys and sells its underlying holdings, there are taxes, administrative expenses, manager fees, and numerous other ways that funds can nickel and dime their way to a slow bleed of any positive performance. The lowest cost funds are passive, index, ETFs. Do your research, look for low cost efficient funds. Be aware though, even a low cost fund can get expensive. Look at their turnover rate, and trading volume. If they trade a lot and do a lot of activity, the low fee can end up costing quite a bit. With stocks, you only pay when you buy and sell and taxes are incurred on capital gains. Keep those things in mind. Investing is tricky, and while these signs of danger are concerning, for the diligent and well educated investor, mutual funds can still have a role. 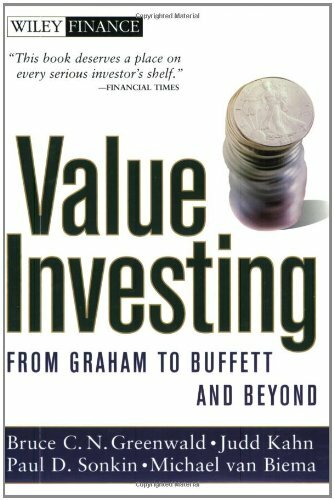 Invest the way Warren Buffet does, understand what really makes a company tick.